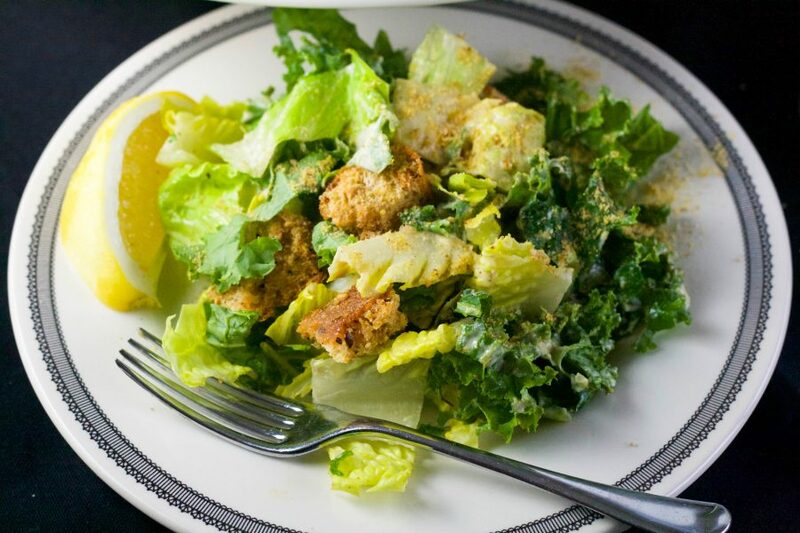 You guys, I love caesar salad and I have tried literally a billion plant-based caesar salad dressings in my life, both at home and in restaurants. 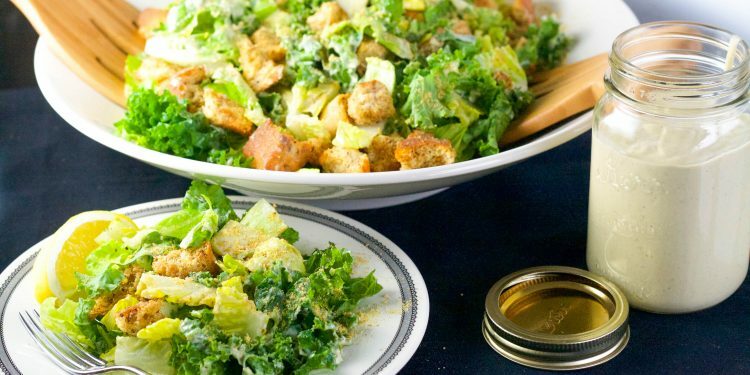 There are so many different ways to make a vegan caesar salad dressing. I’ve had avocado-based dressings, hemp-based, cashew-based and oil-based. For years I have avoided tofu-based caesar salad dressings because honestly, I just didn’t think it could taste as good as some of the other versions. Well, due to a major caesar salad craving the other day and a lack of cashews, I had to give the tofu-based dressing a try. It turned out to be amazing with perfectly a perfectly creamy and smooth texture and great garlicky flavour. What is the best part about this caesar salad dressing? The roasted garlic of course! 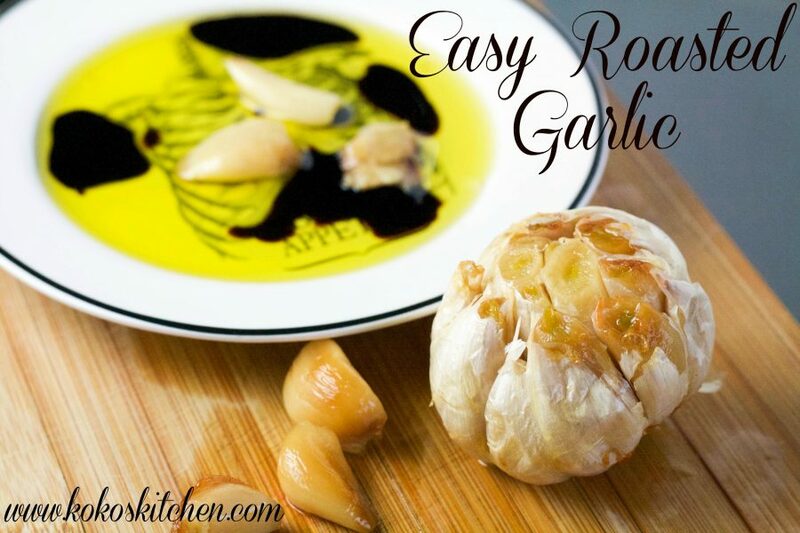 If you don’t know how to roast garlic, I have an easy tutorial here. 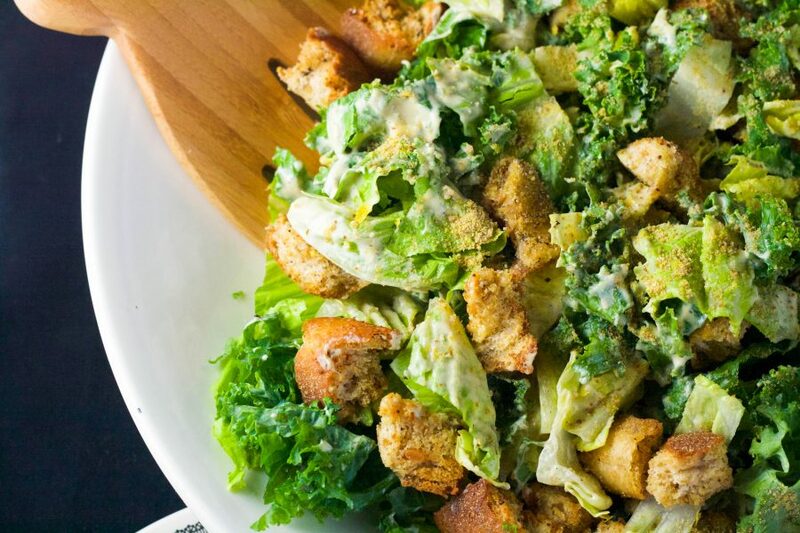 The other key to a perfect caesar salad is those homemade croutons. Take any crusty rolls or bread that you have lying around – if it’s a little old, even better. Cut it up and toss it with olive oil and herbs and let them toast in the oven until crunchy. It couldn’t be easier and it’s so worth it. 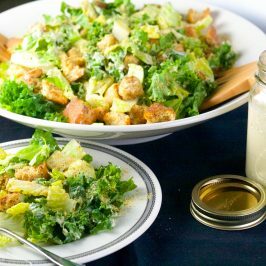 A nice vegan parmesan adds a great salty and cheezy taste to this caesar salad dressing. Use your favourite store-bought brand or try my quick vegan parmesan. Alternatively, you could probably substitute plain ol’ nutritional yeast (“nooch”). 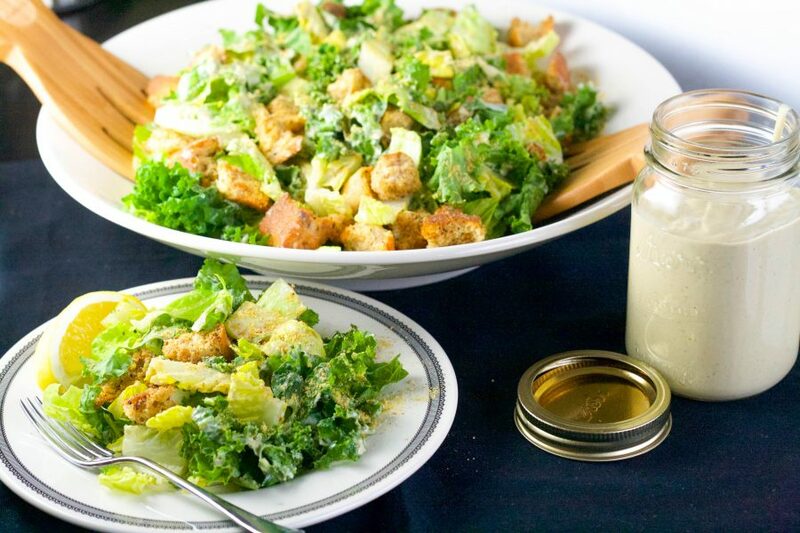 A recipe for vegan caesar salad and dressing using roasted garlic. Don't forget the homemade croutons! Cut buns or bread into small cubes and toss with a generous splash of olive oil and the focaccia herbs, mixing evenly. Toast in the oven for 10-15 minutes, tossing once, until crunchy. 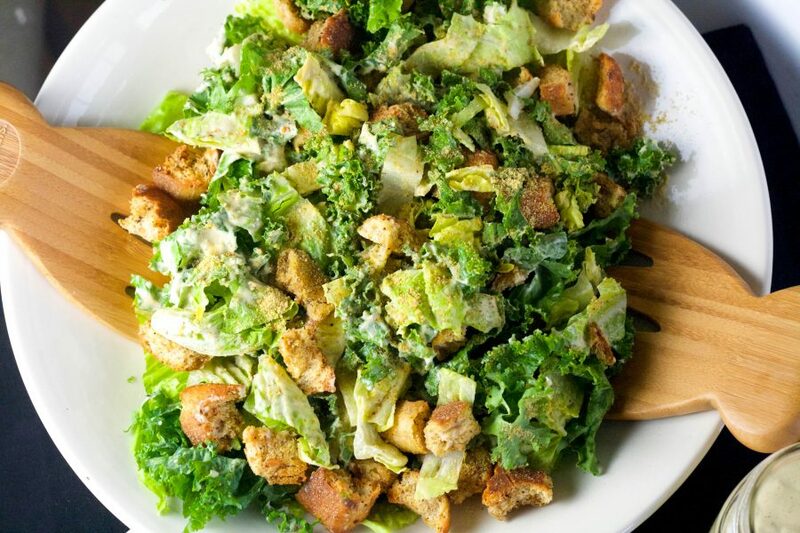 Toss dressing amount of your choice with romaine lettuce and croutons. Garnish with extra vegan parmesan. Enjoy! *I like to throw in a couple handfuls of chopped curly kale along with the romaine for extra green goodness! **I like this dressing even more when it's had a few hours (or overnight) in the fridge for the flavours to meld!